Immune-based approaches have revolutionized the treatment of acute lymphoblastic lymphoma (ALL), especially for patients unable to tolerate multiagent chemotherapy. Now, investigators are looking forward to seeing these agents move into frontline settings, perhaps leading to chemotherapy-free approaches. Those were among the observations from a panel of experts who participated in a recent OncLive Peer Exchange® discussion regarding the evolving treatment landscape for adult ALL. The panelists met during the American Society of Hematology (ASH) Annual Meeting in December 2018 and reviewed several abstracts presented at the meeting for studies of new ALL therapies. They discussed the implications of the data for practice and for future directions for ALL research. 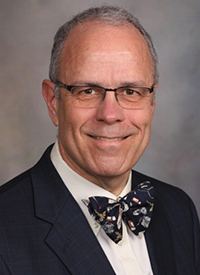 For these patients, “There is a need for less intensive but effective treatment strategies,” said Mark R. Litzow, MD, who served as moderator for the Peer Exchange program. The first element of risk stratification, according to Bijal D. Shah, MD, is determining whether patients are fit enough to receive intensive chemotherapy. Because age is often viewed as a barometer of fitness, fit elderly patients are frequently denied highly toxic, yet potentially curative, therapies. Shah said that managing fit elderly patients is particularly challenging because treatment can quickly render them unfit and unable to complete therapy. “The last thing I want to do is interrupt therapy, because I think that comes with more harm than anything else,” he said. Based on data presented at the ASH meeting, Shah expressed optimism that 2 new immunotherapy agents, inotuzumab ozogamicin (Besponsa) and blinatumomab (Blincyto), might improve survival for elderly patients who have ALL. Inotuzumab ozogamicin is an anti-CD22 monoclonal antibody conjugated to calicheamicin, a cytotoxic antibiotic. Blinatumomab is a monoclonal antibody that binds simultaneously to CD3 on T cells and CD19 on B cells; it brings the bound cells together, allowing the immune cells to eradicate the cancer cells. One study presented at the ASH meeting compared a regimen of inotuzumab ozogamicin plus low-intensity chemotherapy versus standard intensive chemotherapy in patients 60 years and older with newly diagnosed ALL.2 The composite rate of complete response (CR), CR with incomplete hematologic recovery (CRi), and CR with incomplete platelet recovery was 98% with the inotuzumab ozogamicin-based regimen versus 88% with high-intensity chemotherapy (P = .037).2 The inotuzumab ozogamicin arm also had significantly higher 3-year rates of event-free survival and overall survival (OS).2 Litzow called the results encouraging. Shah agreed but expressed concern about toxicities with inotuzumab ozogamicin. He noted that inotuzumab ozogamicin can induce cytopenias and is hepatotoxic, saying the potential for veno-occlusive disease to arise long after patients discontinue inotuzumab ozogamicin presents an added wrinkle when considering transplant. “What my transplanters are telling me now is they want 4 to 6 weeks between the last dose of inotuzumab and the transplant [but] that is not always a sufficient time span in which to keep patients minimal residual disease [MRD]–negative,” he said. Jae H. Park, MD, is an investigator for SWOG-1318, a phase II trial evaluating single-agent blinatumomab in patients older than 65 years with newly diagnosed ALL.3 Preliminary data presented at the ASH meeting showed a CR rate of 66% after 2 cycles of blinatumomab induction, which Park said compared with a historical rate of 20% with standard chemotherapy.3 “The responses are very encouraging, and toxicity also appears to be favorable,” he said.